Price: € 23,95 incl. 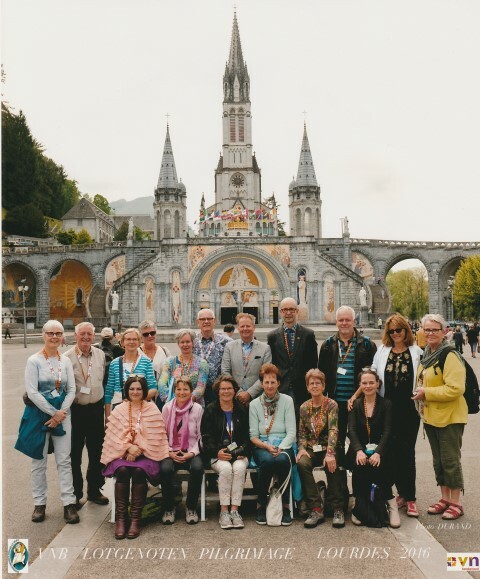 charges for transport overseas. Published in paperback, 240 pages. "Mam, ik bel je zo terug" is the Dutch title of the book, which is -written in Dutch of course- for sale at Bookstore Stumpel Hoorn and every other bookshop in the country. Price: € 10,00. 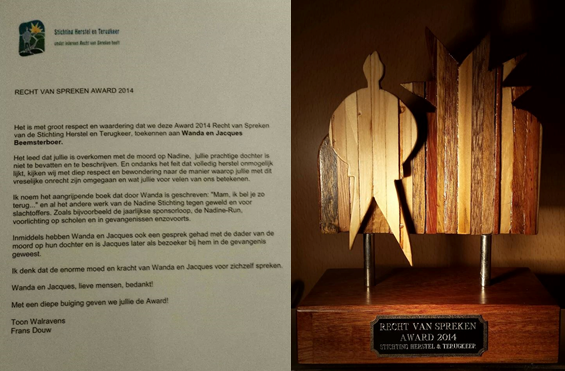 If you want us to send it to you, just pay € 14,00: NL16ABNA0544084039 (add your home-address). Digital version is also available. 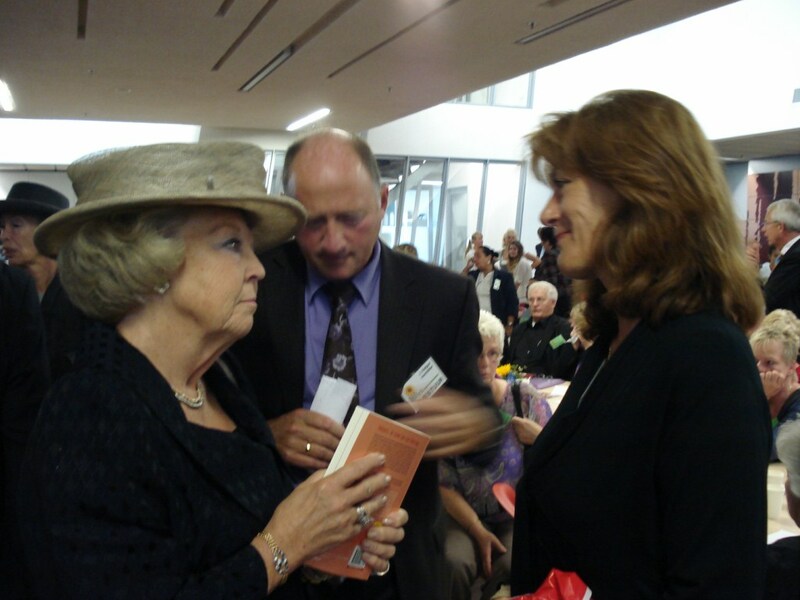 Short after the launching of her book in 2010, Wanda Beemsterboer had the honner to present it to (former queen) Beatrix. Hereby the picture of that moment. At a second occasion that Wanda met her, the queen told her that she had read the book and that she was very impressed. open air, nearby the monument "De Vlinderrots" in Hoorn. A donation for the work of the Nadine Foundation is required. This is the official website (in English) of the Nadine Foundation. The foundation has been founded the 26th of January 2007. After Nadine’s death, Wanda and Jacques find the strength to establish the Nadine Foundation, an organisation that battles against senseless violence and promotes animal welfare. As part of the Foundation’s work, they become guest speakers at schools and community centres. They also provide educational sessions for the inmates of penitentiaries throughout the Netherlands. 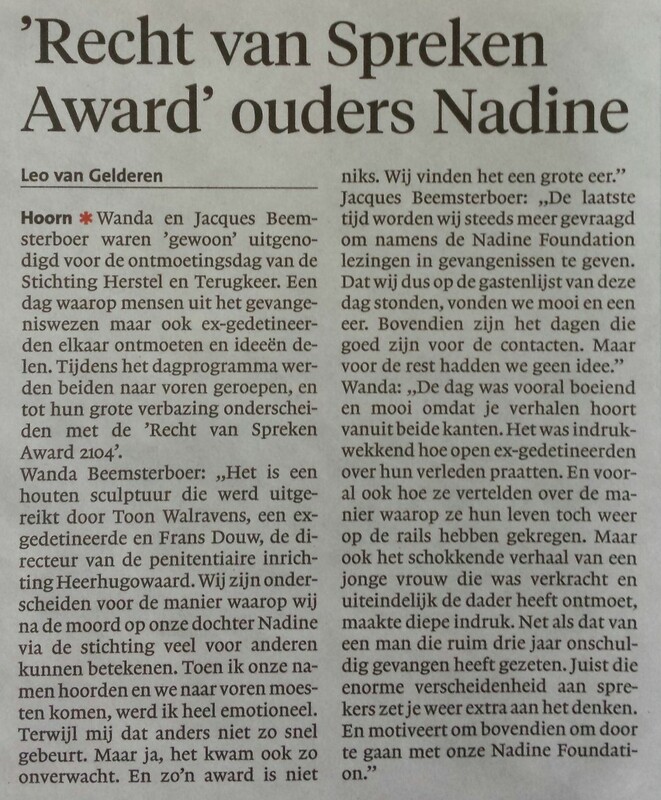 Additionally, they organize the annual Nadine OK Run and initiate the "Vlinderrots", a monument for victims of violence in their own home town. 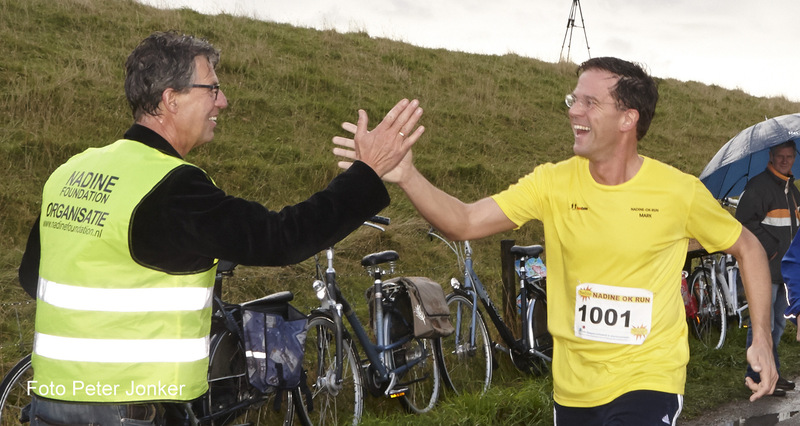 If more information about the Nadine OK Run is required, just click here Written in Dutch. Jose Kok, director "Bears in Mind"
Since the launching of the English version of the book "Call You Right Back, Mum", an English website (click on the picture on top) and flyer is available. You can find al relevant info on both places. Nadine Beemsterboer is a sparkling, radiant young girl, very sweet and to top all that, extremely talented. 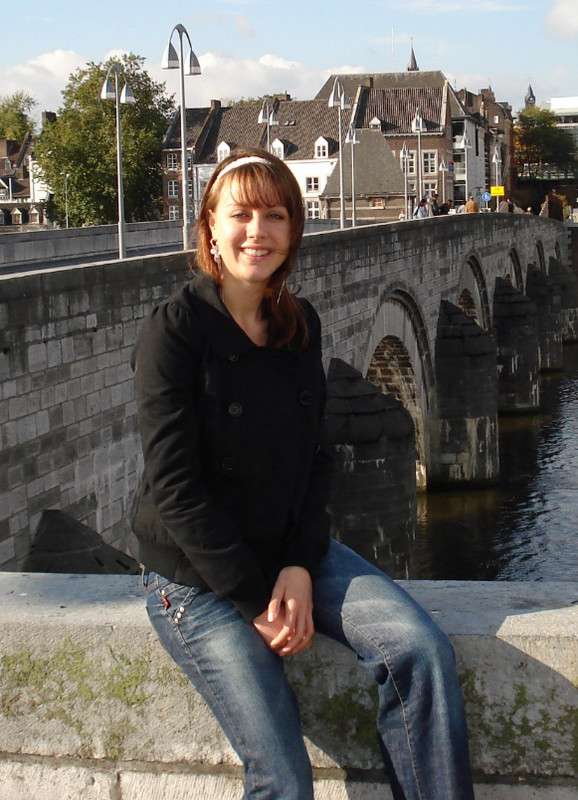 She studies at the Hogeschool Inholland, School for Communication, Media & Music, specialising in Radio and TV. At the age of twenty she’s in her fourth and final year. She’s won two prizes during the Dutch streetdance championship with her team DAZZ 2 IMPRESS. Her greatest wish? To become famous through dancing or as a presenter on radio or tv and use this fame to promote animal welfare...... On December 2nd 2006 Nadine is murdered by her ex boyfriend. We want to show Nadine, dancing in the full joy of life, making thereby a powerful statement against violence. The profits will go to organizations dedicated to preventing violence and promoting animal welfare. Summary "Call You Right Back, Mum"
The second of December 2006 began as an ordinary Saturday for Wanda and Jacques Beemsterboer. As always, Wanda went to the gym whilst Jacques busied himself around the house. That particular day he was constructing new book cases in the living room. Nadine, their youngest daughter, had left for work. Once back from the gym, Wanda passed the time rummaging around the house and waiting for Nadine, who was expected home around a quarter to two. The pair of them had planned to go shopping together. Then their day takes a drastic turn. That December day in 2006 the world collapses for Wanda, Jacques and their eldest daughter Jacqueline. Nadine’s ex-boyfriend Gerold manages to persuade their daughter to come by for one last visit. He claims to have a parting present and promises not to bother her again afterwards. She drives to his place right after work. Gerold viciously assaults and kills Nadine, inflicting 36 stab wounds with a knife before covering her body with a duvet and, later that day, turning himself in to the police. In her book Call You Right Back, Mum Wanda Beemsterboer tells the life story of her 20-year old daughter, leading up to her horrific death. Although there are no words to describe her pain, she finds the words somehow. Bringing Nadine to life on the pages, Wanda shows her readers Nadine’s story from the day she was born to that fatal afternoon, when her daughter answered her mother’s call in a hurry and promised: ‘I’ll call you right back, mum’ before ending the call. Wanda shows us a joyful, naughty child whose happiest day was when she received Jacky, a Foxy Russell pup. And also a girl who loves animals to the extent that she raises funds for mistreated bears and decides to give up eating meat. Nadine grows into a radiant, energetic teenager with a great talent and passion for Street Dance. She excels in her Communication Studies and regularly performs on Dazzling Dance Studio’s show team. Aged only 17, Nadine meets Gerold in the dance scene they both frequent. He is fourteen years her senior and it appears much later that he did time for violent crime and robberies. Nadine does not put up with anyone speaking ill of her boyfriend. Two years into their relationship, his possessiveness becomes somewhat oppressive, but Nadine insists he is ‘very sweet’. Even after he puts his hands on her and she sustains bruises more than once, she sticks to her opinion. She confides in sister Jacqueline, but mother Wanda remains unaware of the violence. Even during the precious mother-daughter weekends they spend together, Nadine does not confide in her mum. Eventually, Nadine breaks up with Gerold, which sits ill with him and makes him feel humiliated. From his point of view, his honour has been tainted by her actions. Later he was to declare that he could see in her eyes that she cheated on him, which sealed Nadine’s fate. Describing her experiences in a raw, unpolished style, Wanda outlines the horror of losing their daughter. Her despair, fathomless grief, disbelief and intolerable pain, but also the strength to survive, all merge into a roller coaster ride of emotions. She discovers that each family member has a different way of grieving, seeing how her husband wrestles down his overpowering emotions by organising the funeral down to the very last detail, pouring his grief into poems and how, for him, coping means the deep-felt need to get back to work as soon as possible… until in the middle of a half marathon he is suddenly running on empty. In the midst of all this, this family finds the courage and power to follow the reconstruction of the murder, to attend court sessions and to set up the Nadine Foundation. Funded by charity events and the proceeds of this book, the Foundation battles against senseless violence and promotes animal welfare, allowing humans and animals alike to benefit from a sometimes shared healing process, exactly as their daughter would have wanted it. Through these efforts, Nadine still lives on. - We organize and attend events against violence. - We act as guest speakers on the topic of senseless violence. - We organize group- and individual discussions in penitantiary institutions. Photo beneath: The prime minister of The Netherland, Mark Rutte joint in at the distance of 10 kilometers in 2012 and forfilled it within the hour. There is also a website, click right here and maybe you join the run yourself one day!